Traffic in our town is pretty chaotic due to rapid population and retail growth and poor short-sighted planning by the city. A secondary road by my house feeds into the university and serves as a shortcut between major arteries. The city wanted to slow down the traffic on this street. They installed some speedbumps (shown above, middle). 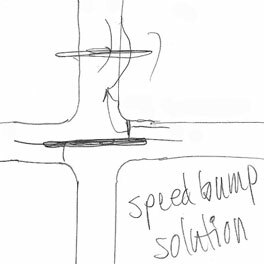 Drivers, however, already in a frustrated state due to traffic congestion in Edmond, solved the problem - they just drove around the bump. There are no curbs to prevent such drive-arounds. However, that killed the grass in the adjacent yards, angering those homeowners. Meetings were held to address the concerns of homeowner's and area residents. Two city council members were present. One admitted what caused the problem, "We just didn't think about it." It was refreshing to hear a politician be honest and acknowledge why there are so many inadequately resolved issues in our community. By a show of hands, we residents voted to have the bumps removed. 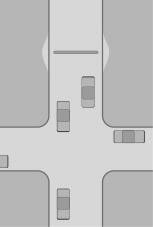 Here is another, more effective solution - simply lengthen the speedbump and locate it in the adjacent intersection. This will prevent cars from driving around it. While it will cost slightly more for the extra length, it will effectively serve as a deterrent without compromising resident's yards.